A First Nation is testing what are called atmospheric water generators in Watson Lake, Yukon. Advocates hope the technology will be useful in remote reserves and other communities dealing with boil-water advisories. When working properly, the machine can generate 30 litres a day, which is enough for a family's daily needs. The concept has gone from prototypes to commercial production only in recent years. A Canadian charity committed to supporting Indigenous communities, True North Aid, bought two machines for the community. The First Nation's chief said the idea shows promise. "Currently we deliver trucked water to about 150 homes and it's very expensive. We do have some wells but we have problems with the water out of those wells," Chief George Morgan said. "This is an interesting solution." The rollout hasn't been flawless. Two machines were initially installed in Watson Lake, but one has required some tech support to get working and is being swapped out. "We're just winging it here and seeing what happens. We're interested to see how it rolls out. But in the short term, we see this as a solution for our public spaces," said Morgan. Eric Little, the chief financial officer at SEI logistics, helped set up the machines and provided support to get them running. 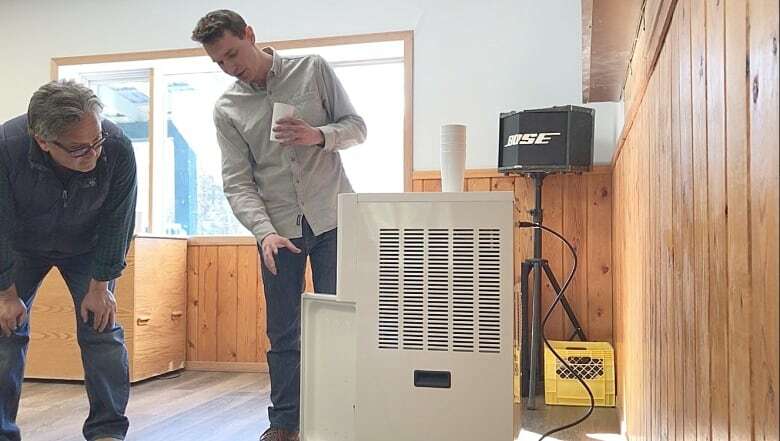 He said he thinks atmospheric water generators could be useful in Canada, especially in remote reserves and other communities dealing with boil-water advisories. The Calgary-based company, which deals primarily with renewable energy technology, is already working with Liard First Nation on a solar project. Little said it would be ideal to use solar power to generate water. The models cost about $1,300 each and are made in China by a company called ShenzhenFND Air and Water Technology Development Co., Ltd., but can be discounted if ordered in larger volumes. Because the machines require electricity — using as much as a refrigerator — Morgan said this may be cost-prohibitive. Little hopes the idea will catch on. 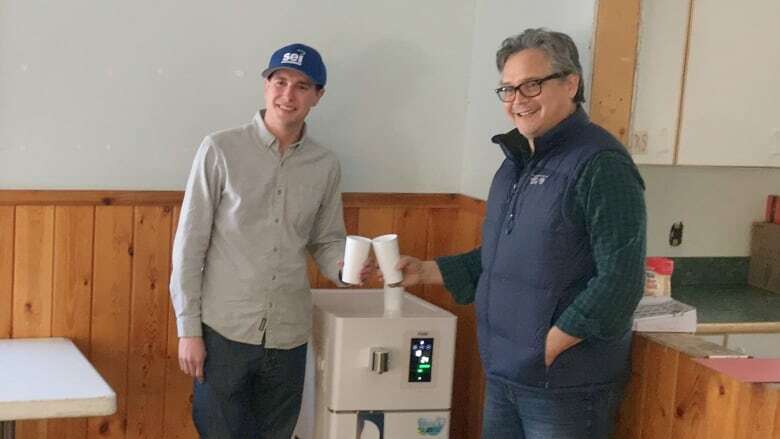 He doesn't see the machines as a replacement for infrastructure like water treatment plants, but it could reduce the reliance on bottled water and boiling.